we are a plumbing company who work with a leading cylinder manufacturer of vented and unvented cylinders.our work takes us up and down the country dealing with these cylinders which harness renewable energy. we also cover normal day to day plumbing taps , tanks , and toilets. We were new customers. The heating and hot water had failed. Immediate helpful discussion about the heating system. Agreed to come very early on a Sunday morning because he had no time in the week. Promptly rectified problems with good advice for the future. I had had difficulty in finding any company/individual willing to do this. I had a good idea what was needed. Pity your trader lives so far away. So delighted to find trader who sorted broken timer on my boiler so efficiently & promptly. We'll definitely recommend & use them again. Aaron Gibbs is a very professional worker. Nothing is too much trouble and work is carried out to highest standard. Will always use and recommended. Aaron has been looking after our system for more than 3 years now. He has fixed problems that were caused by other plumbers lack of understanding. Super job, came immediately and fixed. Aaron is very prompt and professional, and committed to top customer service. 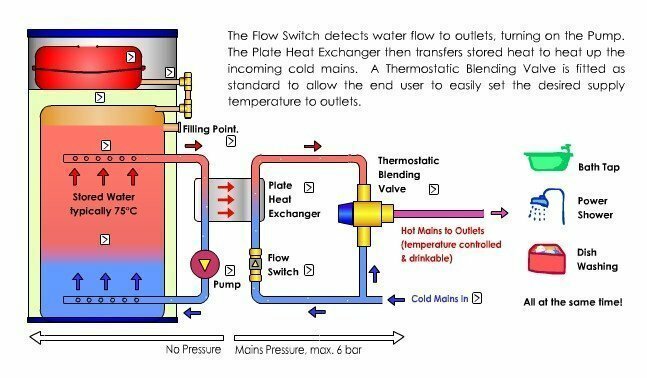 We have an integrated (but complicated) heating and hot water system including a thermal store. Local heating engineers have proved either unwilling or unable to sort out any issues or service it. DPS weren't cheap - but they are experts and it showed. Great service and effective solutions. Very happy! I have no hesitation in recommending him, he worked quickly and efficiently and left everything tidy. Aaron responded quickly when we contacted him, and installed the new system very well. No complaints at all; would use again.